The holidays are approaching fast. Where did the time go??! As this year comes to a close it causes me to reflect about all the great clients (2 legged and 4 legged) that we have served throughout the year. I extend my deepest gratitude to you for allowing us to have served you and your pets and I hope that we afforded you peace of mind whether you were traveling or working long hours (our pet sitting clients) or the satisfaction that we helped you create a better behaved dog (dog training clients). It is and always will be our mission and our pleasure to bring you the highest level of care and satisfaction in whatever service you need from us. We are not perfect although we strive for perfection and when we fall short we do our very best to make you our clients feel happy, satisfied and loved. With the upcoming holidays comes decorations, holiday plants and food, lots of food! With that in mind I urge you to be a bit more aware in regards to your pets. Below are a few articles on holiday hazards which you may find helpful. 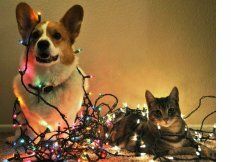 If your pet is acting out of sorts it may be due to ingesting tinsel, ribbon, poisonous holiday plants or too much human food (hold the table scraps please!). The holidays are not made happier by an emergency trip to the vet! Thank you again for your continued patronage and I wish you all a wonderful holiday season and we will see you in the new year!! Holiday Travelers, What About Your Pets? 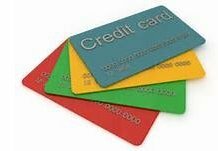 So you are planning on traveling for the holidays and you have confirmed your flight reservations, booked a hotel, planned some fun things to do, checked out the best restaurants…Aren’t you forgetting something? Or should I say someone?? Hmmmm. The pets! Who’s going to care for your pets??? Neighbor? Friend? Your vet? Pet sitter? There are many options but which is the best for your pet? A neighbor or friend could do it and hey they might do it for free but they are busy with their own lives especially around the holidays. They may watch your pets but they don’t really “watch” them. Do they have an emergency plan in place if your pet gets sick or hurt? If the neighbor who is watching your pet is a kid or teen is your pet really getting what they need in terms of exercise and attention? It’s a good idea to make sure there is adult supervision. Your veterinarian could board your pet. Many animal hospitals have kennels for dog and cat boarding. This could be a good option for a pet with medical issues or one that needs round the clock care. Take a tour before deciding on this option as your dog may spend the majority of time in a kennel sometimes even toileting in it Many dogs and cats can be stressed by the sounds and smells at the vets office (let’s face it, usually when they visit the vet bad things happen!) and stress can weaken their immune system making them more susceptible to illness. While many vets offer boarding few are set up to offer the quality of care that most pets enjoy at home. 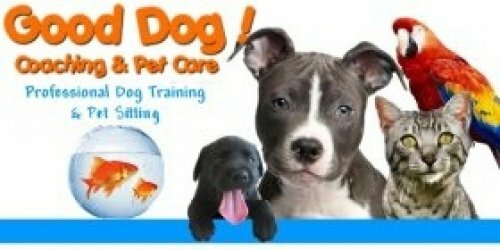 Doggie Day care is an option best suited for young, well socialized dogs. Plenty of play and interaction with other dogs is great but nap and break times are essential. A good dog day care will insist that your dog is current on vaccinations. Opt for one where your dog will have access to the outdoors to play and potty. 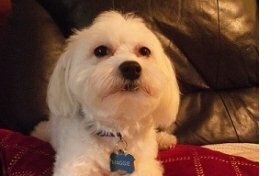 It is not uncommon for dogs to have toileting issues after returning from a stay at a dog day care where they had no option but to toilet inside. Yuk! Professional Pet Sitter is another option and I’m not talking about someone you found via some well advertised website that is a clearing house where anyone can sign up and call themselves a pet sitter. 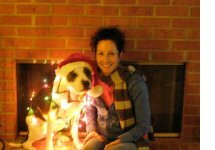 A great place to start is NAPPS-National Association of Professional Pet Sitters at www.petsitters.org where you will find true professionals! People who have made it their life’s work to care for pets. Your pet is their first priority. This one-on-one approach provides the focus needed to spot acute illnesses, changes in behavior or diet, and can prevent medical emergencies before they occur. 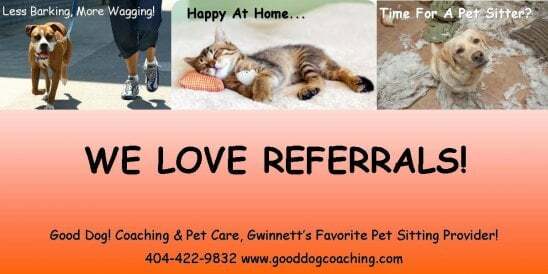 A reputable pet sitter will be licensed, bonded and insured. They will have references and likely know pet first aid and CPR. They will require a good amount of information from you so they can provide the best care. This option allows your pet to be pampered in the comfort of their home while maintaining their regular routine. Professional Pet Sitters care for all types of pets and can administer medications, injections and carry out any special instructions you may have. While their major priority is caring for your pet they will also maintain your home by taking in the mail, alternating lights, keeping your house looking lived in which is a great security measure. This gives many a pet owner the peace of mind knowing their home and their pet is well cared for while they are away. But more importantly most pets would rather stay in the comfort of their home, keeping to their routine, having fun and being pampered and loved by someone who is there just for them. It’s a staycation for your pets! Sparkly, dangling and sometimes moving lights are a huge enticement for many pets, especially curious cats. Tinsel looks tasty to many pets but can be fatal if ingested as it twists and bunches in your pet’s intestines. Immediate veterinary care is required. Bags, Boxes & Bows Oh My! Wrapping and curling ribbons are irresistible to many pets. While exquisitely wrapped packages can look wonderful under your Christmas tree or as decorations themselves your pets may be tempted to chew or swallow the ribbon or bows on such packages. If ingested, they can cause vomiting, twist throughout the intestines or cause a blockage, which may result in surgery or even death. Think outside the box, use gift bags and tissue paper as a much simpler, safer and pet friendly alternative to packages with ribbon. Deck the Halls with Boughs of Holly, wait is that poisonous? Some of the most commonly used holiday plants are poisonous to your pets. Holly used in many decorations can cause intense vomiting, diarrhea and depression. Poinsettias cause irritation to the mouth and stomach and sometimes vomiting. Mistletoe can cause severe vomiting, diarrhea, difficulty breathing, collapse, erratic behavior, hallucinations and death when ingested. Pine needles can cause irritation of the mouth, vomiting, diarrhea, lethargy, trembling and posterior weakness. And a single leaf from any Lily variety is lethal to cats! Use silk floral arrangements for holiday decorating. You’ll not only get more bang for your buck because you can reuse them each year, but you will ensure the safety of your pets. Be advised, cats can and will often climb the Christmas tree! We have video to prove it!! In our former home we had 13 foot ceilings hence we had the tree to match. Our younger cat Mo Mo was caught on video almost at the top of the tree! He had climbed up the inside trunk and when my husband called out to him he came leaping out of the top to an upper level room that was near the tree. It was hilarious at the time and thank goodness we had thought ahead to tie the tree in place (things you learn when you have acrobatic felines) because if we hadn’t the whole thing would have come crashing down. We did lose a few ornaments (glass) which we quickly cleaned up. So take a moment to plan ahead and safe guard your home with your pets in mind. It will keep them happy and healthy and keep you from making an unexpected trip to the vet. Meet little Miss Maggie, one of your daily dog walking clients. Maggie is a little white ball of sweetness. She is quiet and timid but loves her walks and enjoys all the rubbing you can give her. Dangling decorations: These look like toys to your dog or cat. Glass ornaments break easily and are extremely harmful if ingested. Opt for plastic ornaments at least for the lowest hanging branches of your tree, and eliminate tinsel altogether. Festive Foods: Around the holidays there is an abundance of chocolate as well as cookies and cakes with nuts and raisins baked in. All of which are harmful, even fatal to your pets. Giving your dog fatty foods like ham or turkey with gravy can land you in the pet E.R. with stomach upset or even pancreatitis. While very tempting, skip treating your dog with these items. If you must indulge your furry family member, buy some special dog treats for holiday time. Gift Wrapping Ribbon: Anyone who has a cat knows how irresistible curling ribbon is to them. If eaten, ribbon can twist in the intestines causing cuts and blockages. This can only be removed surgically. Holiday Plants: Poinsettias, Mistletoe, Holly and even pine needles can cause irritation, vomiting, diarrhea and some even death if ingested. Keep plants up and away from your pets and don’t allow them to chew on your tree. Candles and Potpourri: These days candles and potpourri come in so many scents. Many smell edible to your pets. Keep them up and away where they cannot be reached. Candles and hot wax can burn your pet, liquid potpourri contains cationic detergents which if ingested, cause burns to the mouth, esophagus and stomach. Sit/stay aka no jumping…If your dog is sitting and staying he can’t be jumping. Teaching a reliable sit/stay is easy but it does take time to build up to a longer stay. Go to your place/bed…This is also great if you have guests that are not pet lovers. 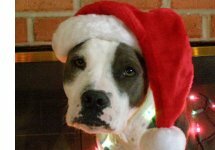 Your dog can feel included in the festivities by being in the same room while remaining on his bed calm and relaxed. With this command you also have to practice building up the time the dog stays on their bed. Leave it…This is a great command for keeping your dog away from dangerous foods, decorations or other items. If someone drops food on the floor the leave it command can come in really handy. It is also useful when out on a walk if the dog spies something that generally gets them excited and wanting to pull. Lastly, a tired dog is a good dog! Take your dog for a nice long walk before holiday guests arrive. They will be quieter, calmer and well behaved. Don’t have time? Hire a dog walker! It’s an affordable way to exercise your dog! Who doesn't like hot chocolate? 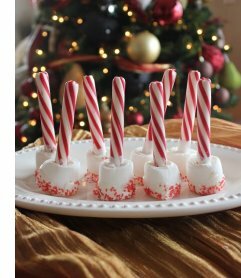 ** If you are making them right before the party then you can just dip the end of the marshmallow in chocolate and then into the sprinkles. If you don't cover the whole marshmallow in chocolate and wait a couple days before you serve them your marshmallow will become hard and stale.